The heroes Marvel are leaping off the pages and now your fridge! 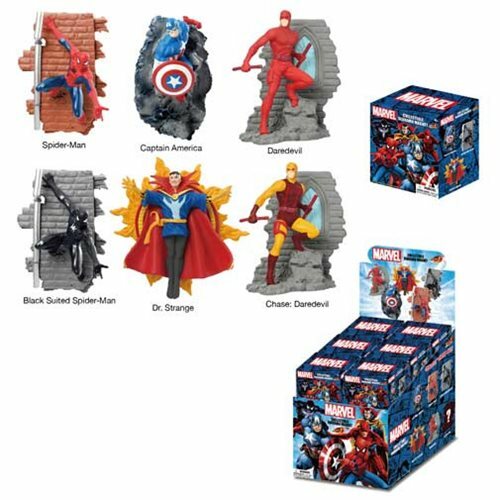 These Marvel Super Hero Series 1 Diorama Magnets feature comic book characters molded in 3-D diorama scenes, like hanging off the side of a building! Each magnet comes packaged in a blind box so fans can hunt and collect them all! There's even chase characters to find.